period enjoyed Saint Sophia's hospitality in USO-type programs provided by the parish. 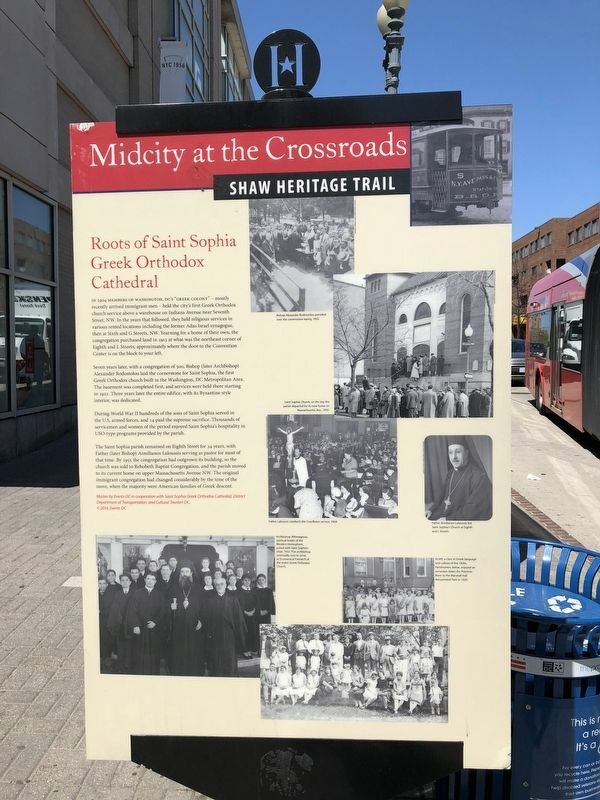 The Saint Sophia parish remained on Eight Street for 34 years, with Father (later Bishop) Aimilianos Laloussis serving as pastor for most of that time. By 1955 the congregation had outgrown its building, so the church was sold to Rehobeth Baptist Congregation, and the parish moved to its current home on upper Massachusetts Avenue NW. The original immigrant congregation had changed considerably by the time of the move, when the majority were American families of Greek descent. Location. 38° 54.252′ N, 77° 1.32′ W. Marker is in Mount Vernon Square, District of Columbia, in Washington. Marker is on 7th Street Northwest near L Street Northwest, on the left when traveling north. Touch for map. Marker is at or near this postal address: 1100 7th Street Northwest, Washington DC 20001, United States of America. Touch for directions. Other nearby markers. At least 8 other markers are within walking distance of this marker. Remembering "the Village" (here, next to this marker); The Place to Shop (a few steps from this marker); Words and Deeds (about 400 feet away, measured in a direct line); Central Public Library (about 600 feet away); Reaching for Equality (about 600 feet away); For the Working People (about 700 feet away); “Sweet Daddy” Grace (about 700 feet away); Power Brokers (about 800 feet away). Touch for a list and map of all markers in Mount Vernon Square. More. Search the internet for Roots of Saint Sophia Greek Orthodox Cathedral. Credits. This page was last revised on March 23, 2019. This page originally submitted on April 21, 2018, by Devry Becker Jones of Washington, District of Columbia. This page has been viewed 83 times since then and 11 times this year. Last updated on March 8, 2019, by Devry Becker Jones of Washington, District of Columbia. 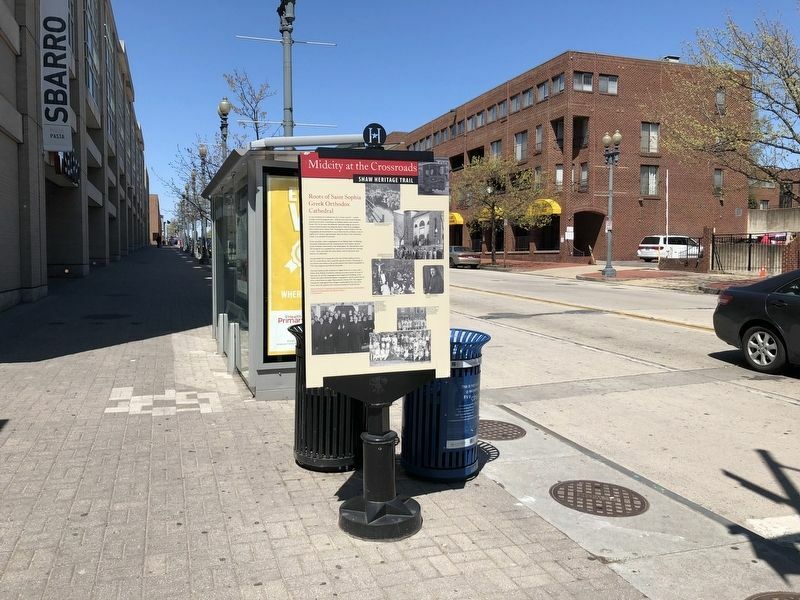 Photos: 1, 2. submitted on April 21, 2018, by Devry Becker Jones of Washington, District of Columbia. • Bill Pfingsten was the editor who published this page.